Just listed in Boca Raton, Florida within the prestigious community of Encantada at Boca Pointe is this masterfully crafted estate home. Composed of 6 bedrooms and 7.5 bathrooms, this beautiful Boca Pointe home offers countless fabulous features throughout its 6,842 square feet of living space including marble and hardwood flooring, custom built-ins, soaring volume ceilings, custom rolled archways and solid wood doors and a generous open floor plan perfect for entertaining. The gourmet island kitchen is sure to delight the Chef of the family with its double wall ovens, stainless steel dishwashers and GE monogram refrigerator, oversized pantry and generous amount of cabinet space. The meticulously landscaped private grounds are host to a number of desirable outdoor amenities including a spacious loggia with Pecky Cypress ceilings and a swimming pool with spillover spa. Additional features include formal and casual dining areas, a spacious Master suite with double walk-in closets, two balconies and a 3-car garage. 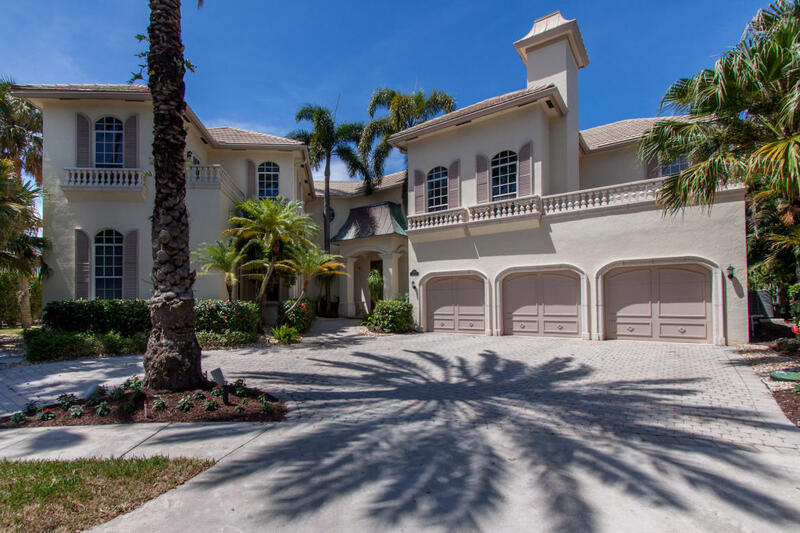 7063 Siena Court is located in Boca Raton and is currently asking $1,250,000. This Boca Pointe listing is courtesy of United Realty Group Inc MLS# RX-10146876. Boca Pointe is a master planned community situated just outside the city limits of Boca Raton, Florida. Encantada, an exclusive gated village located within Boca Pointe, is a prestigious enclave of only 127 custom-built estate homes. Residents of Boca Pointe and Encantada have the option of purchasing a Boca Pointe Country Club Social, Tennis, or Golf membership which offers members access to an impressive array of 5-star amenities depending on their membership level. Among these amenities are including a fully-equipped fitness center, heated pool with spa, gorgeous clubhouse, onsite dining and so much more. Situated just east of Florida's Turnpike, Boca Pointe also offers quick access to I-95, Boca Town Center, Mizner Park and miles of stunning beaches.